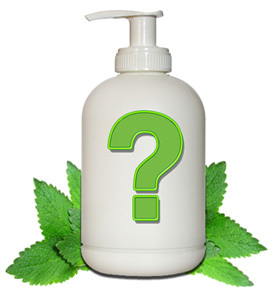 Though there are many "natural" products available in the market today, there are surprisingly no laws or regulations on the use of the term "natural". This makes it very difficult for ordinary people to distinguish genuinely natural products from chemically-laden ones with a few natural extracts thrown in. The ingredients are biodegradable and at least 95% natural (the same standard set by the Natural Products Association in the USA). In fact, many of our products are 100% natural. A product may contain a "non-natural" ingredient, but this is only permitted if there is no readily available natural alternative.The ingredient must then meet strict criteria on human and environmental safety and biodegradability. YES! They are much better, which is why the most privileged people have been willing to pay very high prices for them until now. Many chemical personal care products can be harmful in the long run, e.g. some common cleaning agents irritate and dry out hair and skin leading to long-term damage and premature aging. Some chemical ingredients have even been linked to cancer, reproductive and hormonal disorders (see What's Not In Our Products on the right). All our products are 100% free from harmful chemicals, and safe for most people. However, it's always your best bet to consult your obstetrician-gynecologist or pediatrician first before regularly using any product. What sort of testing is done before you release a product since you don't test on animals? First and foremost, we test the products on ourselves as well as our families! Our products then go through a series of other tests including accelerated stability tests, preservative challenge tests, user acceptability tests done in coordination with some of our dealers and skin compatibility/irritation testing among test respondents conducted by a third party dermatologist. When we feel we have a breakthrough product, we go even further, conducting extensive clinical trials again with third party labs and dermatologists. Beyond that, we often conduct research on individual natural ingredients to better understand their properties and behavior. We're extremely happy that our Natural Care Labs' testing and research into natural ingredients has produced many breakthrough formulations such as CREAMFoam for our natural shampoos. We purposely do not create whitening products, because we believe that your natural skin color is beautiful, whatever the hue! Many whitening products in the market also contain harmful chemicals that are toxic to the body when absorbed through the skin over a prolonged period of time. Not only that, they create an unhealthy perspective that beauty depends on how light your skin color is. At Human Nature, we celebrate the beauty of the diversity of skin tones of people of all ethnicities and nationalities everywhere! Are you registered with FDA? WALK THE TALK At Human Nature, we disclose every single ingredient on our labels, and when we say natural, we go to great lengths to ensure that our natural ingredients are not contaminated with chemicals. We have been certified Cruelty Free by PETA, the largest animal rights group in the world, for our commitment against animal testing. WHAT'S NOT IN OUR PRODUCTS Get to know the chemical ingredients to avoid in your everyday products. Their effects go deeper and last longer than you think.